Nokia 6-inch display smartphones range is not just limited to the flagship like Lumia 1520. The newly announced Lumia 1320 also comes with 6-inch HD IPS display with Glorilla Glass 3 protection, specially at very affordable price. Most of the phones announced by the company are having big display, by which we can conclude that the company wants to make take over on Android phablets like HTC ONE MAX, Samsung Galaxy S4 etc. 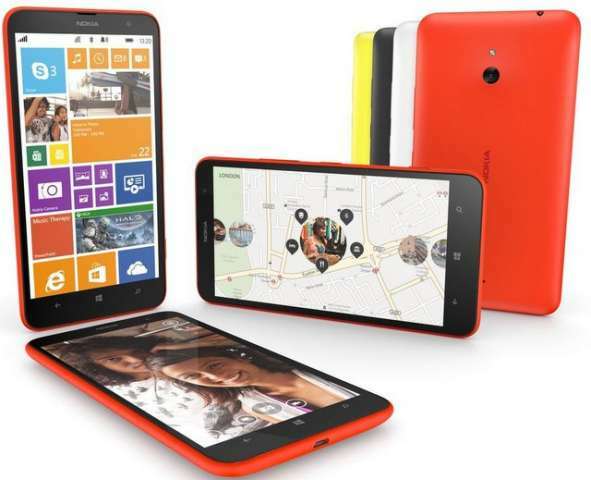 The Nokia Lumia 1320 is priced at $340 ( RS.21,000 in India) excluding taxes. It device would be available from Q1 2014 and is first headed to China and Vietnam. The phone is also known as batman as nickname. Samsung Galaxy S5 to sport 16-megapixel Camera:report AOC launches AOC LE16A1333/61 15.6inc LED TV at RS 6,990 .